Pewter medal with a relief image of the Royal Society of Arts building and the relief lettering 'ROYAL SOCIETY OF ARTS 1754'. 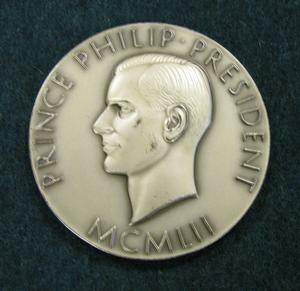 On the reverse is a relief profile of HRH Prince Philip, Duke of Edinburgh, and the relief lettering 'PRINCE PHILIP. PRESIDENT MCMLII'. Engraved around the edge of the medal is the inscription: 'Session 1956-57. 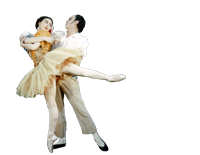 Dame Ninette de Valois, DBE, For Her Paper "The English Ballet" '. Given in presentation case ROH/VAL/BEQ/24.